Direct Scaffold Supply offers a wide variety of scaffold accessories and component parts that are designed to be compatible with major US, European and Australian manufactued scaffolding systems. From system jacks to toe boards, pins to scaffold tags, we have you covered. To view our complete catalog of scaffolding products, just use the links to the right, or below. Looking for technical data? Use the form below to request it. DSS System Jack With Base Plates are manufactured under the guidance of our Exhaustive QA/QC program and ISO accreditation. Every single System Jack With Base Plate manufactured is proof tested in the factory to ensure the highest possible standard of quality is provided to our clients. Our System Jack With Base Plate are fully compatible with other leading systems around the world. DSS Swivel System Jacks are manufactured under the guidance of our Exhaustive QA/QC program and ISO accreditation. Every single Swivel System Jack manufactured is proof tested in the factory to ensure the highest possible standard of quality is provided to our clients. Our Swivel System Jacks are fully compatible with other leading scaffold systems around the world. DSS Universal System Spigots are manufactured under the guidance of our Exhaustive QA/QC program and ISO accreditation. Every single Universal System Spigot manufactured is proof tested in the factory to ensure the highest possible standard of quality is provided to our clients. Our Universal System Spigots are fully compatible with other leading scaffold systems around the world. 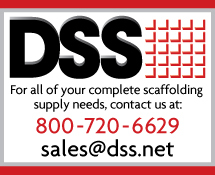 DSS Scaffold Pins are manufactured under the guidance of our Exhaustive QA/QC program and ISO accreditation. Every single Scaffold Pin manufactured is proof tested in the factory to ensure the highest possible standard of quality is provided to our clients. Our Scaffold Pins are fully compatible with other leading scaffold systems around the world. DSS Gate Adapters are manufactured under the guidance of our Exhaustive QA/QC program and ISO accreditation. Every single Gate Adapter manufactured is proof tested in the factory to ensure the highest possible standard of quality is provided to our clients. Our Gate Adapters are fully compatible with other leading scaffold systems around the world. DSS Universal Toe Boards are manufactured under the guidance of our Exhaustive QA/QC program and ISO accreditation. Every single Universal Toe Board manufactured is proof tested in the factory to ensure the highest possible standard of quality is provided to our clients. Our Universal Toe Boards are fully compatible with other leading scaffold systems around the world. DSS Davit Arms are manufactured under the guidance of our Exhaustive QA/QC program and ISO accreditation. Every single Davit Arm manufactured is proof tested in the factory to ensure the highest possible standard of quality is provided to our clients. Our Davit Arms are fully compatible with other leading scaffold systems around the world. DSS Medium Duty Post Shores are manufactured under the guidance of our Exhaustive QA/QC program and ISO accreditation. Every single Medium Duty Post Shore manufactured is proof tested in the factory to ensure the highest possible standard of quality is provided to our clients. Our Medium Duty Post Shores are fully compatible with other leading scaffold systems around the world. DSS Baskets are manufactured under the guidance of our Exhaustive QA/QC program and ISO accreditation. Every single Basket manufactured is proof tested in the factory to ensure the highest possible standard of quality is provided to our clients. Our Baskets are fully compatible with other leading scaffold systems around the world. DSS Plate Casters are manufactured under the guidance of our Exhaustive QA/QC program and ISO accreditation. Every single Plate Caster manufactured is proof tested in the factory to ensure the highest possible standard of quality is provided to our clients. Our Plate Casters are fully compatible with other leading scaffold systems around the world. DSS U-Jacks are manufactured under the guidance of our Exhaustive QA/QC program and ISO accreditation. Every single U-Jack manufactured is proof tested in the factory to ensure the highest possible standard of quality is provided to our clients. Our U-Jacks are fully compatible with other leading scaffold systems around the world. DSS Adjustable U-Head Jacks are manufactured under the guidance of our Exhaustive QA/QC program and ISO accreditation. Every single Adjustable U-Head Jack manufactured is proof tested in the factory to ensure the highest possible standard of quality is provided to our clients. Our Adjustable U-Head Jacks are fully compatible with other leading scaffold systems around the world. 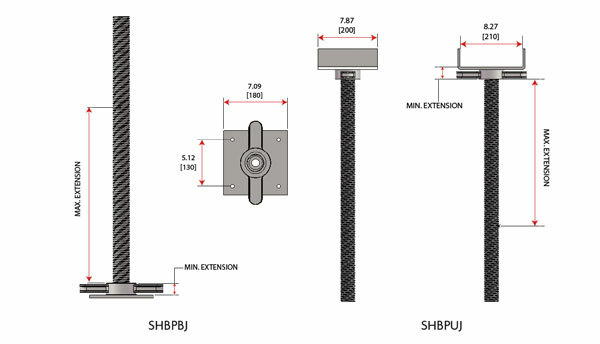 DSS Heavy Duty Braces are manufactured under the guidance of our Exhaustive QA/QC program and ISO accreditation. Every single Heavy Duty Brace manufactured is proof tested in the factory to ensure the highest possible standard of quality is provided to our clients. Our Heavy Duty Braces are fully compatible with other leading scaffold systems around the world. 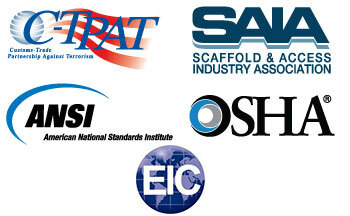 DSS Scaffold Tags are manufactured under the guidance of our Exhaustive QA/QC program and ISO accreditation. Every single Scaffold Tag manufactured is proof tested in the factory to ensure the highest possible standard of quality is provided to our clients.